But if you are going to transfer the money to bank account, we appreciate if you send us. One strand /about 320pcs. 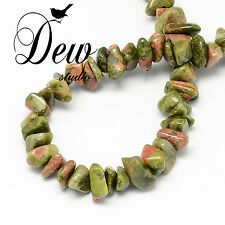 Natural Unakite Stone Bead. Glass Cabochon. 3D Crystal Lacquer. Earring Settings. Ball / Link chains. Rest of the world. They may arrive earlier or later. 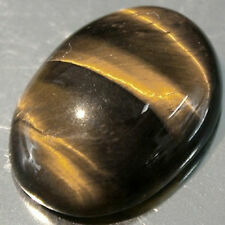 As stated above, each of this stone has been associated along with an astrological planet. When these nine stones associated with the nine planets are put together to form a Navratna Gemstone, this combination by itself gets equipped with the powers to be influential on all the astrological planets. Gorgeous natural clear Rock Crystal and sterling silver faceted Heart shaped Pendant, 22mm in size. ATTRACTIVE OPAQUE BRIGHT YELLOWISH ORANGE COLOR WITH BLACK BANDS AND OTHER COLORS MIXED IN. AVERAGE OR BETTER CUTTING AND POLISH. THIS MATERIAL IS VERY WELL SUITED FOR JEWELRY WORK. AN EXCELLENT GEMSTONE FOR THE DESIGNER. Stone: Rhyolite / Rainforest Jasper. Notes: Super rhyolite with earthy greens and gemmy blue quartz. Style: Cabochon. You will receive the cabochon shown in the photo. Shape: Flat-Back Triangle. · Gem: One Natural Black Triplet Opal Stone Gem Quality: A . 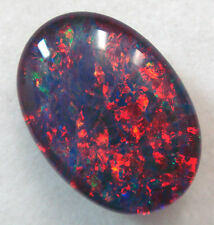 · Opal Size: 12x10x4 mm. · Opal Weight: 2.70 cts. Handcrafted in the heart of the Baltic region. Lemon baby necklaces (very uncommon colour of amber). Dark green baby necklaces & bracelets (very rare colour of amber). Beautiful mix of green/brown shades (from dark to light) . CUT AND POLISHED BOTH FRONT AND SIDES WITH A SANDED SMOOTH BACK BY YOURS TRULY. THIS MATERIAL IS A HIGHLY PRIZED FORM OF CHRYSOCOLLA. AN EXCELLENT GEMSTONE FOR THE DESIGNER. THIS IS A NATURAL EARTH MINED STONE. HERDERITE-BRAZIL 3.65Ct CLARITY VS2-ONE OF THE WORLD'S RAREST GEMSTONES! MATERIAL: Natural untreated HERDERITE. VERY scarce in transparent gem quality! Herderite occurs mainly in granite pegmatites together with other rare minerals. FacetedHerderite belongs to the group of the rarest and most valued gems on face of this earth. SOLD BY THE PAIR (2 Cabs). Variation in patterns shown above as these are a natural color enhanced shell cabochons. Paua shell abalone - (can be dyed to enhance color). Set your new cabs with a bezeler. DANBURITE-MEXICO 9.48Ct CLARITY VVS2-NATURAL UNTREATED-FOR TOP JEWELRY! 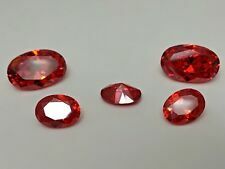 World’s only source of the highest gem gradePink Danburite. The La Aurora mine is a huge zinc ore mine and pockets of Danburite crystals are found very rarely. Mine workers are prohibited to take Danburite out of the mine so each crystal is smuggled out. These are a very pale, barely there pink. Approx 33mm long. SOLD BY THE 3 PAIR LOT (6 Cabs). Variation in patterns shown above as these are a natural color enhanced shell cabochons. Paua shell abalone - (can be dyed to enhance color). Set your new cabs with a bezeler. Here is an AMAZING 1.19ct Benitoite. This stone is Eye Clean. 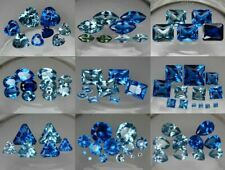 Which is a true treasure for this rare mineral. Stones over 1ct are the definition of true investment stones as the value has only gone up and will only continue to rise. It’s a very undervalued mineral.The color in this stone is a medium-dark blue! This stone is out of an old collection and will sell very quick at this price! The stone measures 9.5 x 5.5mm and is top top notch. If you have any questions please free to message me. HERE IS A NICE GARDEN MOSS AGATE CAB FROM INDIA. GREAT NATURAL MIXED MULTI COLORED MOSS LIKE PATTERNS IN A TRANSLUCENT AGATE BASE. WILL MAKE A UNIQUE JEWELRY PIECE OR COOL ADDITION TO YOUR GEMSTONE COLLECTION. 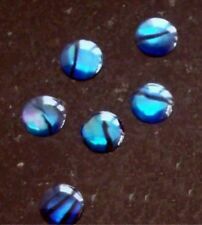 Beautiful natural Blue flashy Labradorite faceted round 4mm beads. CUPRIAN POWELLITE. MATERIAL: Natural untreated Cuprian (Copper Bearing) POWELLITE. All major deposits ofPowellite are empty of near empty. CLARITY: P1 (All colored stones are graded with trained unaided eye. ). EACH STONE IS ROUGHLY 1.5CM X 1.5CM. 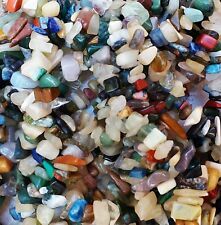 ASSORTED NATURAL SEMI-PRECIOUS "HEALING POWER" GEMSTONES. Rose Quartz. Rainbow Fluorite. Red Jasper. 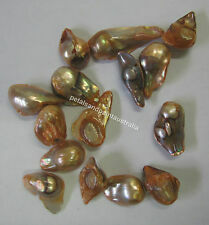 Parcel lot of 10 X 8x6mm Oval A- Grade Triplet Opal Stones. A lovely lot of various colors, perfect for collectors & suitable for a myriad of jewelry applications. HERE IS A NICE GARNIERITE CAB FROM KNOX CO. GREAT NATURAL MIXED LIGHT AND DARK MINT GREEN WITH BROWN COLOR TONES. OFTEN CONTAINING PYRITE. WILL MAKE A UNIQUE JEWELRY PIECE OR COOL ADDITION TO YOUR GEMSTONE COLLECTION. SCAPOLITE-TANZANIA 0.83Ct FLAWLESS-SMALL RING SIZED GEM-PASTEL GOLD-FOR JEWELRY! CUPRIAN POWELLITE-CHILE 0.67Ct CLARITY P1-ONLY A FEW PIECES IN EXISTENCE-RARE!